Discriminating families everywhere are not only looking for better tasting water, but also cleaner water that will ensure their family’s good health and safety. Additionally, in many homes, conditioned water is a necessity for preserving and ensuring the longevity of water-using appliances. 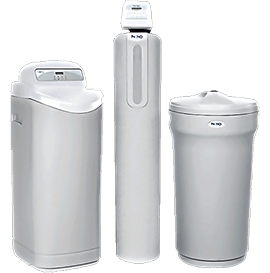 The Novosoft 485HE series water softener effectively controls hard water scale and corrosion, by removing the ions that cause water to be hard. Effectively controls hard water scale & corrosion. Increases the life of water-using appliances by removing minerals and lime scale caused by hard water. No more slimy feeling after bathing. Reverse flow regeneration drives the hardness minerals up through the already depleted resin and out to drain. This saves both salt and the unused portion of the resin for future use. Soft water recharge. If the total capacity goes below 3%, a short 15-minute recharge will restore additional capacity so the softener can soften until the regular 2:00 am regeneration time. This ensures soft water during unusually heavy water usage. Precision brining saves up to 30% more salt by pre-making only 70% of the brine. Automatic system refresh. 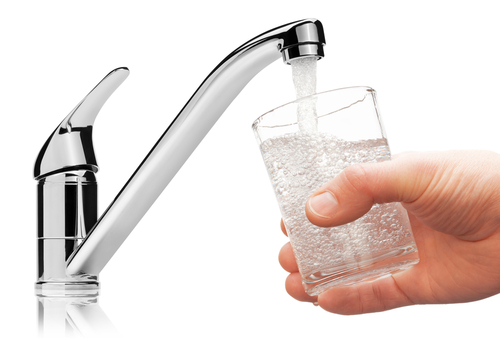 If no water is used for seven days, the system will perform an automatic refresh preventing bacteria growth. Ultimate salt & water savings. This water purification system uses 75% less salt and 64% less water. It’s good for you and the environment. “No touch” information display rotates key information like last regeneration date and volume remaining. 48-hour self-charging battery back up. Uses less than $2.00 in electricity per year. For more on the Novosoft 485HE Series Water Softener or any of our other products and services, please contact us. Don’t forget to ask us about our exclusive 100% satisfaction guarantee.